The video details the specific use of the Avaya Branch Gateway logging functions. It specifically focuses on the use of the "logging to a file method" but also makes note of the console and syslogging functionality as well. How to view Audio Quality Statistics from within Avaya Flare Communicator for iPad. Produced by Bob Kuberski. An overview of why and how to use the Avaya ACE Customer Information Questionnaire (CIQ). Produced by Stevie Martin. This video demonstrates how to establish a trusted link between System Manager and Session Manager. Produced by Bhavya Reddy. This video provides basic configuration steps for enabling High Availability (HA) on the System Platform in the Fast Re-boot Mode. Produced by Jerry Revier. This video demonstrates how to properly configure Video CAC in Communication Manager 6.0.1 for both standard and high definition video calls. Produced by Russell Singer. This video covers various procedures to capture system and troubleshooting information via SNMP on the Avaya ERS8800 system. Published by Wayne Godsoe. 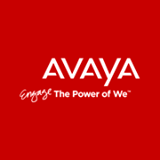 The Avaya Flare Communicator for iPad application installation, client side configuration settings, and basic troubleshooting tips. Produced by Bob Kuberski. This video demonstrates how to properly configure Video Call Admission Control (CAC) for Session Manager 6.1, using System Manager 6.1. Produced by Russell Singer. This video shows how to administer Avaya Aura Session Manager after it is installed at a customer location. Produced by Bhavya Reddy. This video details implementing IPv6 Addressing in the Avaya System Platform during the initial installation and for an existing System Platform configured as an IPv4 system needing to provision IPv6 as a second transport method. Produced by Jerry Revier. This video demonstrates how to create an application sequence in Session Manager and apply it to the user's originating or terminating phase of the call. Produced by Bhavya Reddy. This tech tip covers the procedure to reset an Avaya ERS8800 chassis to factory defaults. Produced by Wayne Godsoe. This video details the steps on how to identify and fix an Avaya CMS r16.3 problem with excessive growth of the web log files. Produced by Jerri Bandt. Steps to configure the iLO3 interface on the HP DL360 G7 server for remote access and monitoring. Produced by Stevie Martin. This video demonstrates how to configure Avaya Aura System Platform to Alarm through the Standalone SAL Gateway. Produced by Bhavya Reddy.